It’s been a tough hurricane season in Florida, including being impacted by Irma, a Category 5 hurricane. 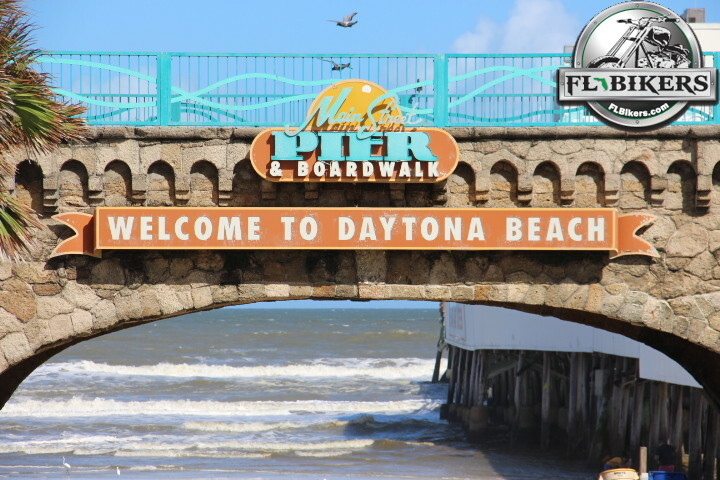 Fortunately, Daytona Beach did not sustain significant damage and the biker community has already started turning out for this year’s Biketoberfest® – October 19th through 22nd! Vendors: Whether you’re looking for motorcycle clothes, helmets, jackets, accessories, etc. – you’ll find it! In the market for a new bike? : You won’t find a better selection of bikes than those featured during Biketoberfest®, so get shopping! Weekend Plans: Biketoberfest® weekend will be full of food, drink specials, entertainment and more! Mix that with beautiful Daytona Beach weather – what more could you want? CLICK HERE to check out the FLBikers photo gallery from Biketoberfest® 2017! Comment below or post on our Facebook page and share your favorite Biketoberfest® memory!